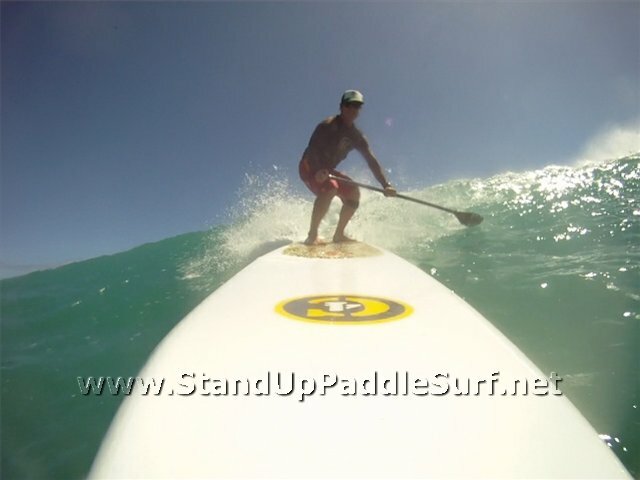 Todd Bradley sent us some clips of him riding the C4 12′6″ “Switchblade” stand up paddle board. The video is a bit long but it gives different angles of how the board performs in light winds. I’ve tried this board myself in surf and really liked it. I like the glide and in small waves the nose allows an easier re-entry into the reform of the wave. This makes catching small waves fun because of the challenge to carry the longest ride possible by connecting small bumps, similar to a downwinder. I have yet to try this on a Hawaii Kai run. I have this board here in Hilo and its awesome! I love it for small surf and plan on using it for fishing too. Do you know if he was using the stock racing fin for this video? Greg – I think he was using the stock fin but not 100% sure. How do you think this compares to the Bark 12′6″ competitor? I’ve been contemplating a purchasing a faster distance type board. I’m 150lbs and do most of my paddling in the ocean. Mike – It’s best for you to demo both of them because everyone has a different preference. Besides them both being 12′6″, they are very different. Anyone else want to chime in?